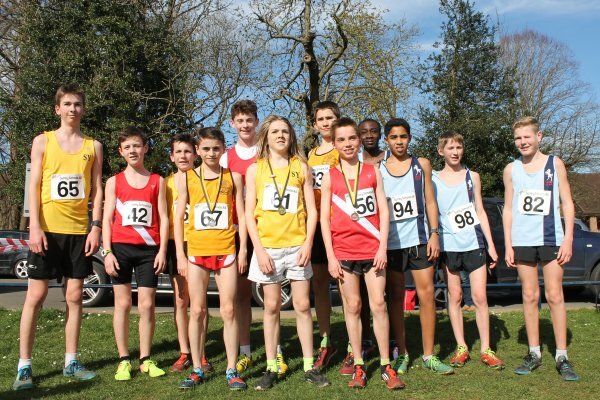 Surrey Schools AA hosted the South East Inter-Counties Schools Cross-Country Championships, for Under 13 and Under 14 age groups at Priory Park, Reigate. Hampshire came second in every age group behind the hosts apart from in the Under 14 Boys race where they came third. The Under 13 Girls took part in the first race of the day. 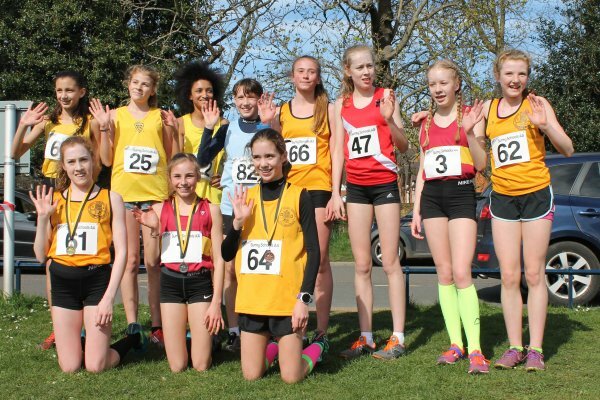 Pictured above are the medallists and the rest of the leading finishers, including Megan Hulbert, Sienna Richardson, and Olivia East who just missed out on a medal by finishing fourth. 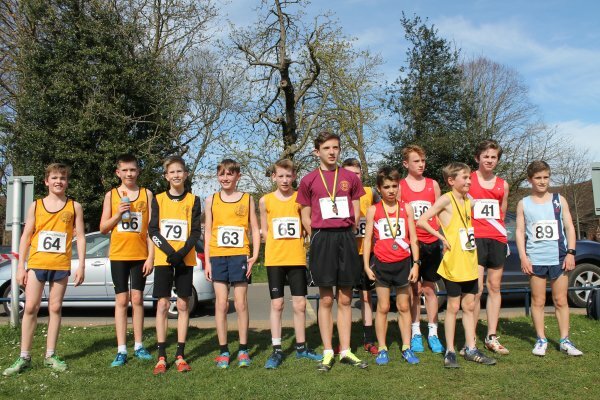 Ben Brown won Hampshire's first individual medal when he came second in the Under 13 Boys' race. Here he is with the first twelve to finish, including teammates Brodi Hughes and Harry Ware. 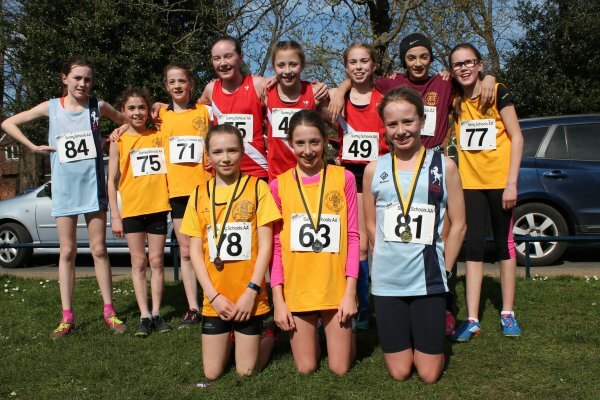 Surrey's dominance continued in the Under 14 Girls' event, where the first eleven finishers included five home athletes, as well as Emma Wilson from Hampshire. In the final race, Matt Dyer won Hampshire's second medal by finishing third, just ahead of Campbell Laird in fourth place. Paddy Turner was the other Hampshire runner to feature in the leading twelve. This page was last updated on 27 March 2017.